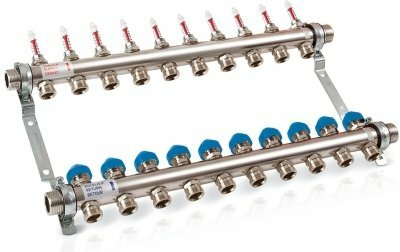 ProWarm manifolds are made in Belgium by ProWarm, the market leaders in European Standard Pex-Al-HDPE pipe, manifolds and water underfloor heating systems. All our stainless steel mainfolds are made by ProWarm to the highest quality standards. Manual valve for each port. 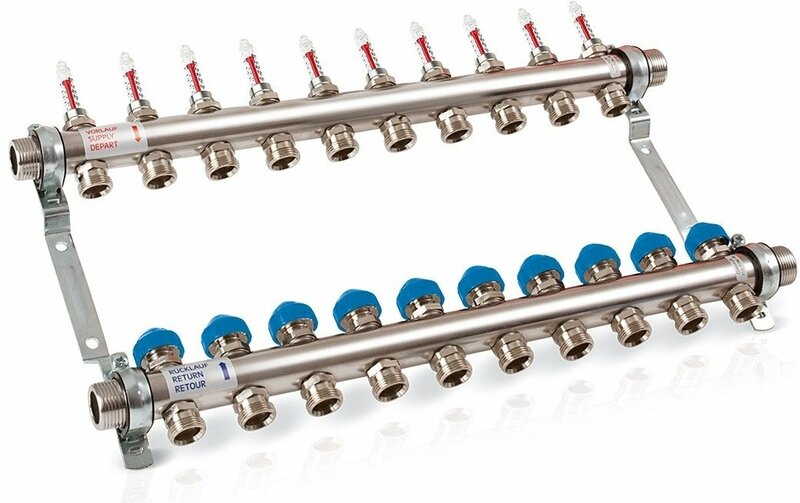 Adjustable flow meter allows easy balancing. Factory pre-assembled on fixing brackets. Triple seal on pipe connections to eliminate leakage.